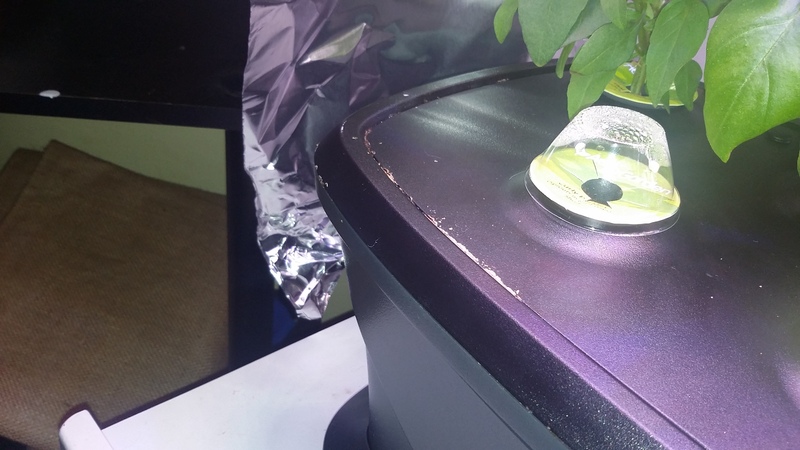 There is a growth on the front of my aerogarden. I tried removing it unsuccessfully. It almost looks like a crusty hard substance. Seen this before? Any suggestions ....is this a future problem? It is a combination of hard water and nutrient residue coming thru the water channels of the deck. That's normal enough, like hard water crust around faucets. You can chip it off with a fingernail, some.